Made In The USA: Childless Chinese Turn To American Surrogates : Parallels Growing numbers of Chinese have hired American surrogates, allowing a couple to get around China's ban on the procedure and its birth limits. It also guarantees a coveted U.S. passport. Chinese couples who are unable to have children are turning to a surprising place for help these days: America. By hiring American surrogates, Chinese couples get around a ban on surrogacy in China, as well as the country's birth limits. Tony Jiang and his wife, Cherry, live in Shanghai and couldn't have children naturally. First, they turned to underground hospitals in China for surrogacy. "It was almost Chinese New Year's break. She became so homesick so she flew back home," he says. "My wife was just two or three days away from embryo transfer. That was really ridiculous and disappointing." Jiang's first clients were a couple — both Communist Party members — who were leaders at a government-owned firm. "How could leaders violate this kind of regulation?" he says. "You could be easily laid off if somebody knows you already have two kids." Still, they're very cautious about appearances. "Only their closest friends, relatives, know they have two boys. All their colleagues, leaders, bosses don't know," Jiang says. Chinese women routinely fly to the U.S. to give birth so their children can get an American passport and enjoy the benefits that come with it, including clean air and a U.S. education. Birth tourism is so common it provided the plot for a popular movie last year, Finding Mr. Right. Amy Kaplan is the director of West Coast Surrogacy, an agency that helped and now works with Tony Jiang. She says Chinese surrogacy took off in recent years through word of mouth. Her agency saw its first Chinese client in 2009. Now, an estimated 47 percent of clients waiting for a surrogate are from mainland China, she says. "The surrogates are putting their own health at risk for another person," she says. "And for immigration reasons, to me, that's .... not ethical." 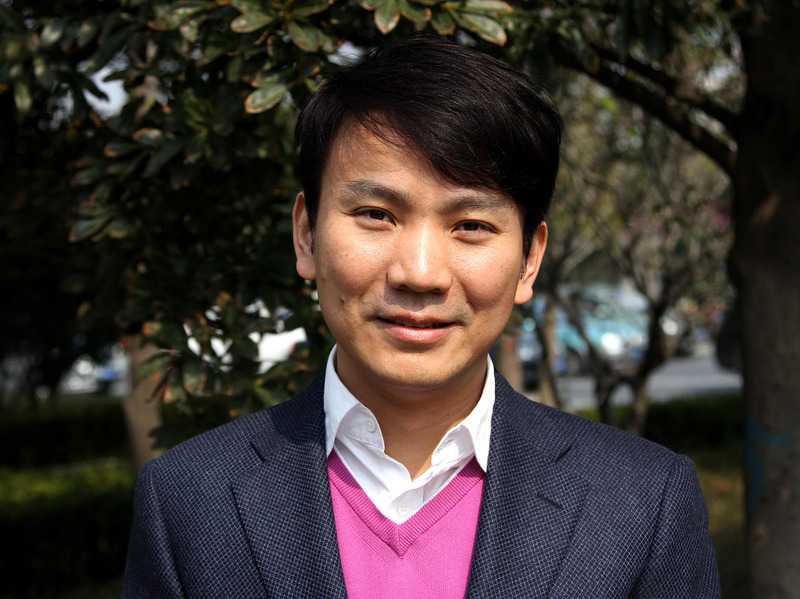 Jiang now consults for West Coast Surrogacy, the U.S. fertility agency that helped him and his wife. Now, an estimated 47 percent of clients are from mainland China. "I know my dream, to have a baby," he says. "For my status, to have a baby is not easy." What he means by "status" is that he's gay, which is still considered fairly taboo in China. So he went to America to quietly start a family. Last year, he had a daughter, Yifan. "When I hold her, look at her, my heart was expanding," he says. "She looks exactly like my mirror image." Like many Chinese his age, Mark is disappointed with China's education system. "For Chinese school, you are not allowed to have a free talk. So you just sit there quietly, just passively receiving knowledge," he says. "But in the U.S., it's different. Be more innovative, creative and free spirit." At first, Tony Jiang did: "I remember very clear how panicked I was in the first 12 weeks." Krywokulsky remembers: "Once the pregnancy was confirmed, they had asked about me wearing a lead apron when I used the microwave, which I thought was kind of weird." "I saw my surrogate when delivering; she was chewing ice," he remembers. "So that's quite weird. Most of my clients don't understand or don't suggest their surrogates to drink icy water during pregnancy because they believe these cold things they drink or eat could arouse miscarriage." Some of Jiang's clients even tried to have lifestyle provisions written into the surrogacy contracts: Don't eat seafood, don't drink ice water, limit activities in at least the first four weeks. "They say: I will pay your four months' salary if you can [stay on] bed rest four weeks," Jiang says. "People raise these kinds of ridiculous provisions, but finally they understand the situation, and they let it go." Jennifer Garcia, a surrogacy case coordinator with Extraordinary Conceptions in Carlsbad, Calif., says some Chinese clients don't just want American surrogates — they also want American eggs. "They all say the same thing: tall, blond, blue-eyed and pretty," Garcia says. "In Asian culture, they are a bit shorter; they just want really tall children and strong boys," Garcia says. "And they're thinking the Caucasian girl is stronger and taller, therefore they'll have stronger, taller children." Garcia and others in the field expect Chinese demand for American surrogates to continue to grow, even with the recent relaxation of China's population policy. Frank Langfitt is NPR's Shanghai correspondent. You can follow him @franklangfitt.